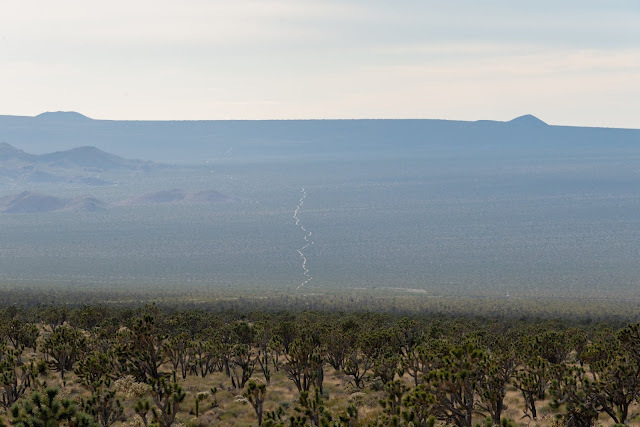 This area in the foreground, east of the Wee Thump Joshua tree woodland qualify as lands with wilderness characteristics, but will not be managed as such in the BLM's preferred alternative. Spirit Mountain can be seen in the distance. 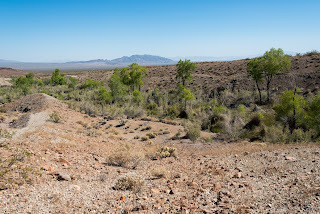 Most of the lands with wilderness characteristics that the BLM chose to respect are in the Gold Butte area of Nevada - which has been eyed as a possible monument - although even some eligible lands within the Gold Butte region will not be counted under the BLM's preferred alternative. Areas outside of Gold Butte fare worse. 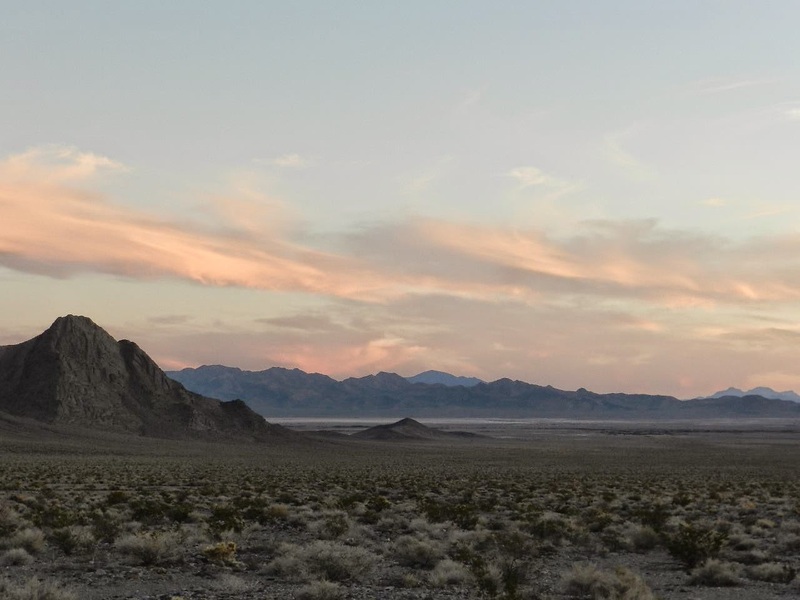 Tens of thousands of acres of wildlands near the McCullough Mountains, Searchlight, around the Muddy Mountains, and the Resting Springs Range will be ignored. 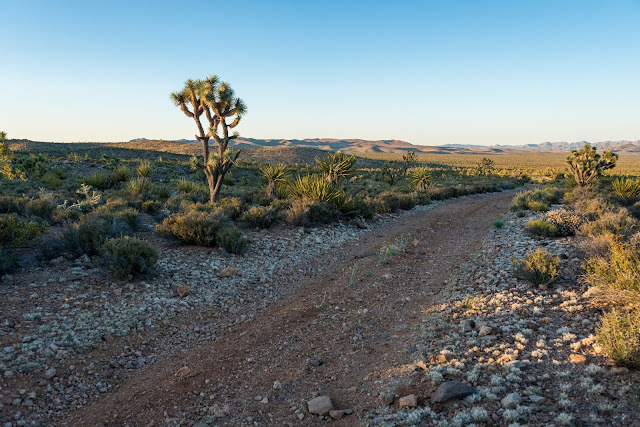 The draft RMP does not give a rationale for why these lands will be ignored, even though they meet the criteria to be designated as lands with wilderness characteristics. The BLM map below shows existing solar energy zones (Dry Lake and Amargosa) in dark blue, and proposed solar energy zones in light blue. You can zoom in on the map with the tools embedded at the bottom. A single resort along the Las Vegas strip is installing 6.4 megawatts of solar panels on the rooftop of its convention space. Imagine if all of the resorts, big box stores, parking lots, and homes of Las Vegas installed solar panels. Photo by NRG. The draft RMP proposes the Lathrop Wells and Ash Meadows solar energy zones, both within ten miles of the wildlife refuge, and a third solar energy zone - South Beatty - that would likely draw on the same groundwater supplies. These three proposed zones would join the existing Amargosa Valley solar energy zone, which remains completely available to developers. A total of four solar energy zones in the Amargosa Valley could decimate groundwater supplies and wildlife. In addition to the solar energy zones, the draft RMP would designate areas deemed appropriate for wind energy, and areas where wind energy should be avoided. 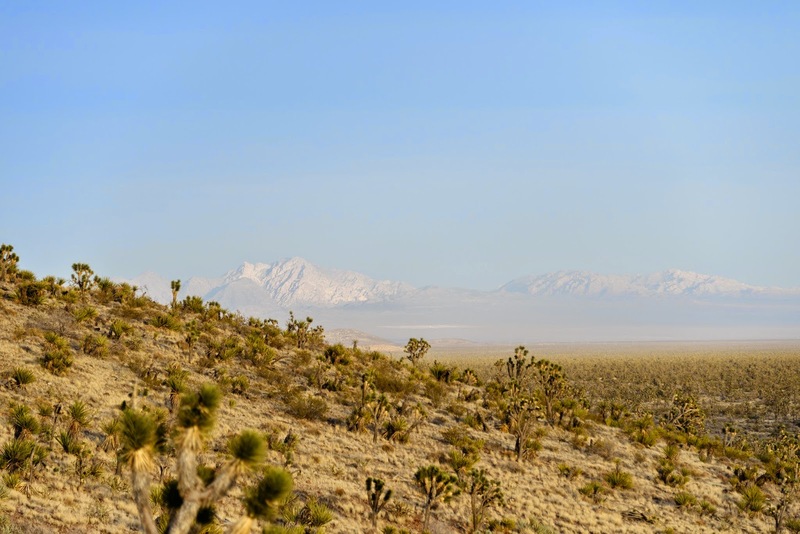 Some of the proposed "open" wind areas would be on designated critical habitat for the desert tortoise north of Searchlight, and along the Nevada/California border immediately adjacent to the Mojave National Preserve. The "open" wind area next to the Preserve appears to cater to the proposed Crescent Peak wind energy project.